The Portland Cinco de Mayo Fiesta is a celebration of different cultures and the community that brings us all together. This year, our sponsors were each asked to bring something more to the Fiesta than just themselves. Each were asked to bring an event element that highlights and serves our local Latino community. We’re proud of what our Sponsors achieved this year in making Cinco de Mayo a true community celebration! About our Sponsor: They say variety is the spice of life. The same could be said about taking vacations. With WorldMark by Wyndham’s flexible vacation ownership program, you can send yourself to any of approximately 92 beautiful resorts in destinations from sea to ski, coast to coast—for any amount of time, for life. Resort destinations include sunny Cabo San Lucas, Mexico and their brand new Club Wyndham Portland Waterfront Park – right across from the Fiesta! About our Sponsor: As the largest and oldest tequila producer worldwide, Jose Cuervo is committed to generating positive impact communities and adhering to sustainable agriculture. Learn more about this sustainable process in the Jose Cuervo Tequila Experience. 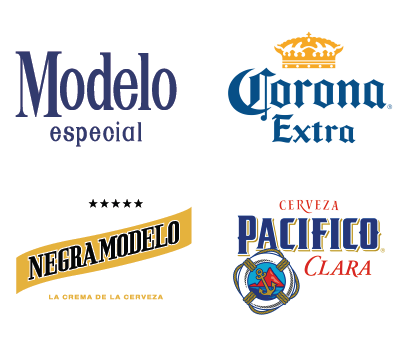 About our Sponsor: The Fiesta wouldn’t be the same without our favorite beers: Modelo, Pacifico and Corona! They are bringing the beer and the fun, but they are also giving back in a big way. They are providing great prizes at the Loteria tent! Constellation Brands is the visionary company behind the beer, wine and spirits brands that you love and have celebrated with for over 70 years. About our Sponsor: Xfinity from Comcast provides TV, high-speed Internet, phone and home security services that work seamlessly together – anytime, anywhere and on any device. From the fastest, most reliable in-home WiFi to their advanced Xfinity X1 TV experience, they create awesome experiences that people love. About our Sponsor: Locally owned and operated since 1999, Image Media is a team of graphic designers and print production specialists eager to offer experiences that involve more than just a file-upload screen. They believe that personal interaction is the key to a successful relationship between their designers and customers. Image Media is proudly rooted in our community, often helping local schools, events and charities with fundraising and sponsorship opportunities. About our Sponsor: TriMet provides bus, light rail and commuter rail service in the Portland, Oregon region. Their transportation options connect people with their community, while easing traffic congestion and reducing air pollution — making our region a better place to live. About our Sponsor: For over one hundred years, the skilled, trained, professional, and certified Journeyman and Apprentice Electricians of IBEW Local 48 have helped the cities of Portland, Oregon and Vancouver, Washington, as well as their surrounding areas, grow and prosper. The IBEW Local 48 is offering opportunities at a new career. The IBEW Electrician Apprenticeship is a way for job-seekers to get qualified for well-paying jobs with full benefits, right here in Portland!